This is a copy of the email that has been sent out to all Azure App Service users. Performance, security, and operational excellence are always top priorities for us. 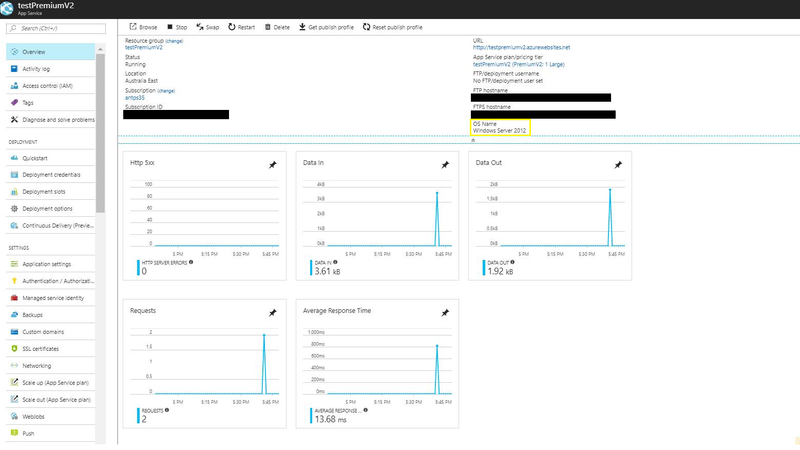 To help ensure that we maintain the highest standards, we have an upcoming planned maintenance on the host OS of Azure App Service and Azure Functions. The update will begin on Monday, December 4, 2017, and continue through January 2018. You are receiving this email because you are an administrator of one or more subscriptions that are currently using Azure App Service or Azure Functions. How does this maintenance affect you? In addition to making our service more secure and stable, this update will move the App Service and Functions infrastructure to Windows Server 2016. This update paves the way to allow the HTTP/2 protocol for App Service and Functions. For HTTP/2 support, we plan to send out communications when it is generally available worldwide. Most updates can be performed without affecting your services running on the platform’s infrastructure. For this update, you’ll notice a restart of your web apps, the same that takes place during our regular monthly OS update. Our goal is to avoid service interruptions and, as with every upgrade to the service, we will be monitoring the health of the platform during the rollout. Test your app in your local environment if you are working in Windows Server 2016. Test your app in any Windows 10 environment because Windows shares many components with Windows Server 2016. Visit the Azure App Service or Stack Overflow developer forums. Please use Azure/app-service-announcements-discussions#23 for discussions. Can I opt out of the upgrade? No, you cannot. As a PaaS service we continue to upgrade and refresh the service for performance, security, and compliance reasons, and we do it to all our VMs each time. Does it also affect App Service Environments? Any new App Service Environment created is already deployed with Windows Server 2016. All upgrades to existing App Service Environments, will begin on January 3rd, 2018. When will the region which I am deployed in be upgraded? Just like any other maintenance, updates are applied using Safe Deployment Practices across Azure regions, and do not happen in geo-paired regions at the same time. App Service will be slowly rolling out the update over the coming weeks. We will not be able to notify or publish the exact time when each region will be updated but you can determine if your app's resources have been updated by following the steps under “How can I check if my app has been updated?" Which build of Server 2016 will be used? It looks like it will be 1607 (build 14393.1770), but this is still being finalized. Check back later for confirmation. While upgrading to 2016 paves the way for adding HTTP/2 support, that support will not be in the initial upgrade. However, we expect to have this happen somewhat later. There is no ETA to share right now, but this will definitely happen. How can I check if my app has been updated? Under System info, look at OS version. If it's 6.2.x, it's still on 2012. It it's 10.0.x it's 2016. Under "OS Name", it will either say "Windows Server 2012" OR "Windows Server 2016"